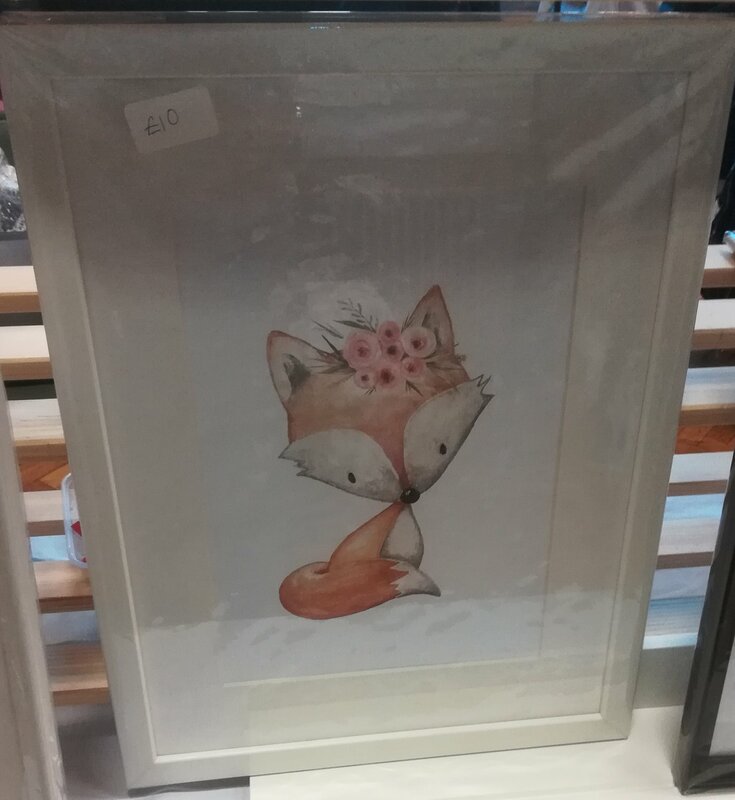 A beautiful framed picture featuring a cute fox with pink flowers on her head. 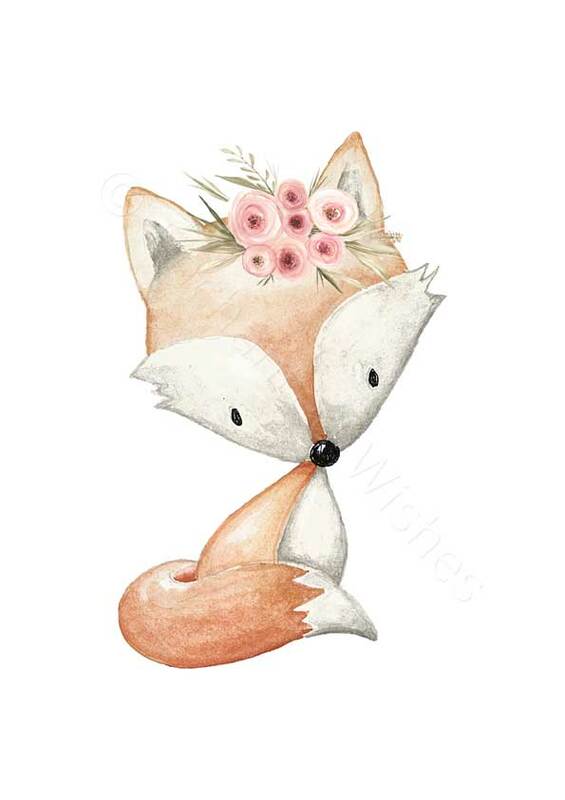 This lovely framed art would make a perfect gift for a new baby girl, and would look great in a girl’s nursery or bedroom. This is a discontinued item so the last one available.